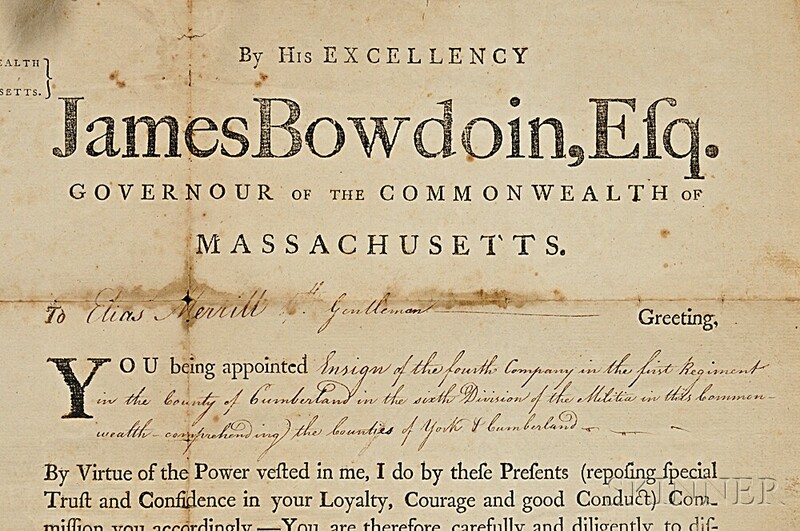 American Signed Documents, Mostly 17th and 18th Century, Massachusetts Governors. 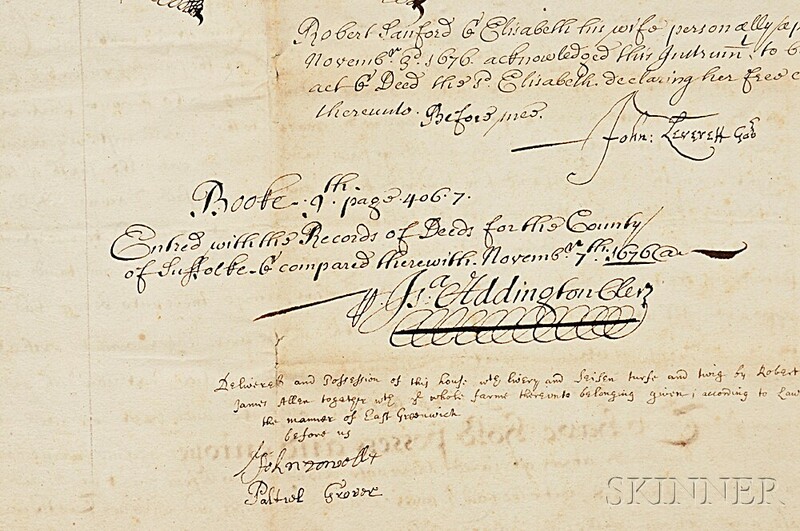 American Signed Documents, Mostly 17th and 18th Century, Massachusetts Governors. 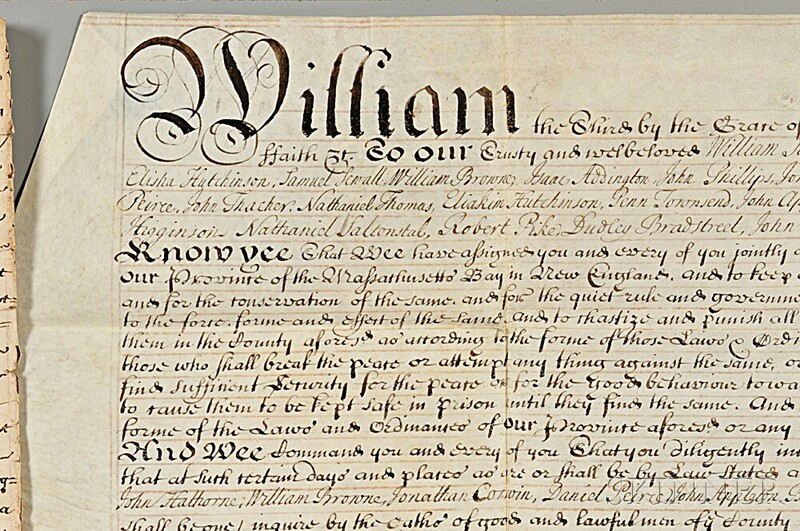 American Signed Documents, Mostly 17th and 18th Century, Massachusetts Governors. American Signed Documents, Mostly 17th and 18th Century, Massachusetts Governors. 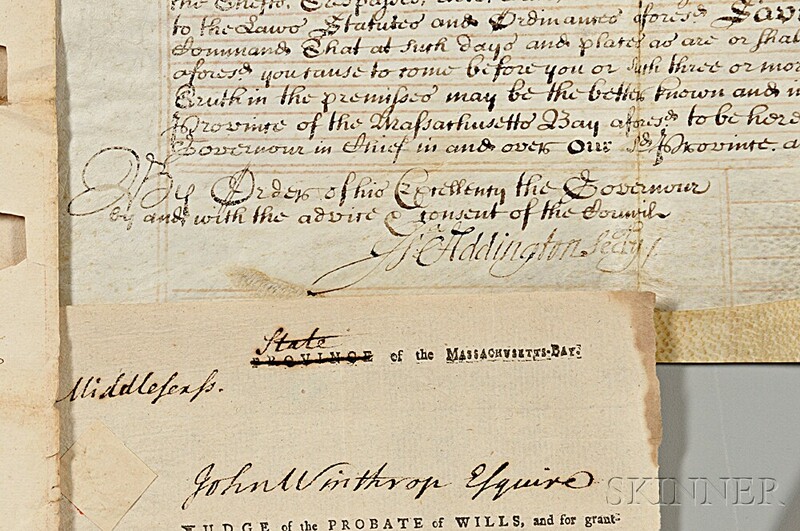 American Signed Documents, Mostly 17th and 18th Century, Massachusetts Governors. 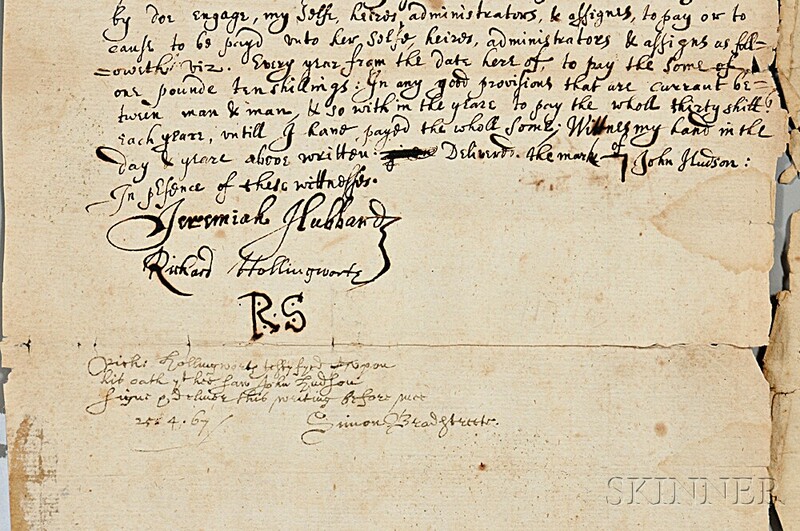 Approximately twenty-seven various signed documents including receipts, letters, clipped signatures and other material attributed to Thomas Hutchinson (1711-1780), John Endecott (1600-1665), John Leverett (1616-1679), Edmund Andros (1637-1714), Simon Bradstreet (1603-1697), Sir Henry Vane the Younger (1613-1662), Paul Dudley (1675-1751), Joseph Shed (1732-1812), Richard Coote, 1st Earl of Bellomont (1636-1701), George III (1738-1820), William Shirley (1694-1771), Joseph Dudley (1647-1720), James Bowdoin II (1726-1790) and others.